How odd is it that we live in a time when terror threats against a low-brow fart-joke movie ("The Interview") and the massacre of cartoonists with Charlie Hebdo in France make worldwide headlines? Kudos to Pith In The Wind for reprinting a selection of cover cartoons from Charlie Hebdo. 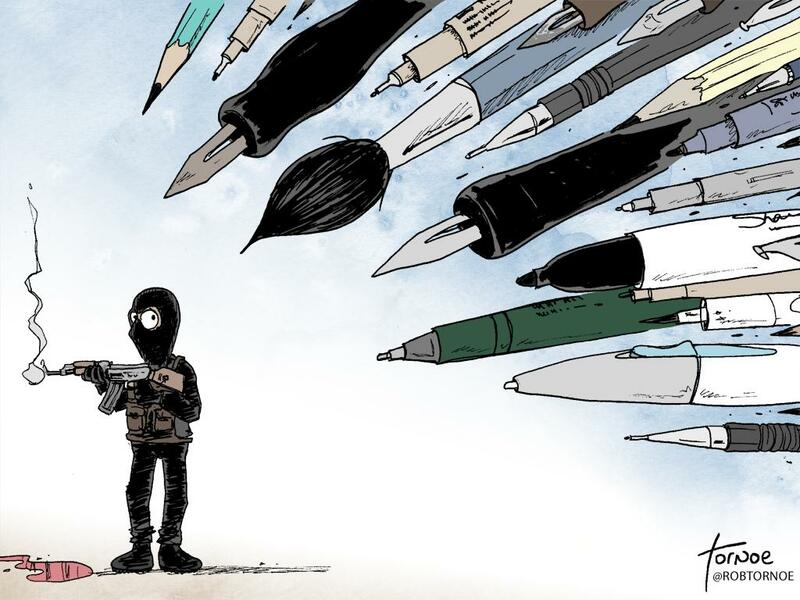 Here is a link to cartoonists responding to the massacre. The murders in France will in fact make sure more people will see the works of Charlie Hebdo so despised by delusional extremists. Perhaps that is a victory of sorts.